Do I Have to File an Income Tax Return While Working Abroad? Even if you work abroad, the IRS expects to hear from you. 3. Does a US Citizen Still Pay US Taxes When He Retires to a Foreign Country? If you’re a United States citizen, you typically owe income tax on the money you earn, no matter where you work. You may be able to exclude some of your income from taxes, but even if you are eligible for this exemption, you still must file an income tax return each year. If you live overseas, you automatically get a two-month extension on your tax return. You don’t have to file a return or pay any taxes you owe until two months after the normal tax filing date. You can mail your tax return, or you can file your return electronically. If you have an adjusted gross income of $57,000 or less, you can file online for free. If you earn more, many online tax-filing programs are available, but you must pay a small fee to use them. If you are living and working in a foreign country and have established residency in that country, you may be able to exclude all or part of the income you earn from U.S. taxes. The IRS establishes the amount of income you may exclude each year, and the amount is adjusted annually for inflation. In 2012, a qualifying individual can exclude up to $95,100. You may also be able to deduct a foreign housing allowance, which includes rent, parking and utilities for your foreign home. You may deduct housing expenses over a base amount established by the IRS. Base amounts are determined as a percentage of your earnings. Follow the directions on Tax Form 2555 to determine your foreign housing deduction or exclusion. The IRS has strict rules about establishing residency. First, you must live in the country for a period of one tax year. Second, you must establish residency in the country. This means you must set up a household for an extended period and establish yourself there, with the intent of remaining long-term or for an indefinite period. For example, if you travel to a foreign country to teach for a specified period of time, retaining your home in the United States with the intention of returning there at the end of the teaching assignment, the IRS might not consider this as having established residency. However, if you rent out your home in the States and take a teaching job in another country, with no definite idea of how long you will stay, and you stay there for at least a full tax year, you might be considered as having established residency there. In order to claim your Foreign Earned Income Exclusion and your housing deduction, you must file Form 2555 along with Form 1040. If you don’t qualify for the housing deduction, you can file Form 2555-EZ to claim your Foreign Earned Income Exclusion. Don’t file Form 2555 on its own – you must also include a complete 1040 and report any other income you may have from investments, interest or other jobs during the year. Depending on where you live and work, you may also need to file tax forms for the country in which you live. Do Citizens of the United States Pay Income Tax on All the Money They Earn? Do You Pay State Income Taxes Based on Where You Lived or Where Your Income Was Earned? Can Married People Filing Jointly With ITINs Claim Dependents? Do Foreigners That Just Became Citizens Have to Pay Income Taxes in the US? Am I Exempt From North Carolina Taxes if I Did Not Reside but Only Worked There? Do I Have to File State Taxes If I Owe Nothing? Can an Unemployed Person File a Federal Tax Return? 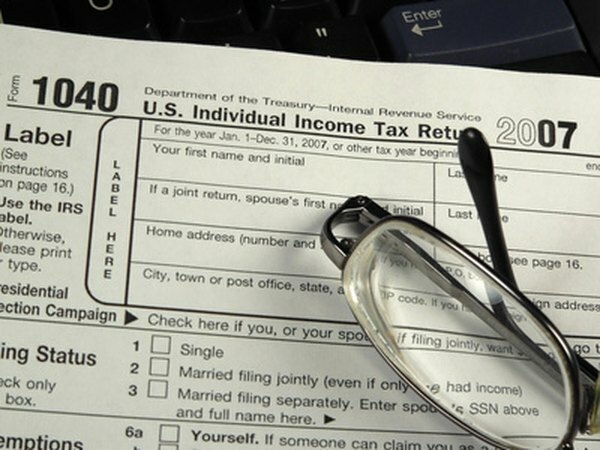 Can I Collect a State Tax Refund From Three Years Ago? Can Georgia Charge Income Taxes on Income From Florida?